We are probably familiar that cats are farsighted, but did you know that their sight vision is 20/100? This far-sightedness in cats is shared with their feline cousins. Their eyes are designed for them to easily track moving objects. Because cats are hunters by nature, they tend to stare long and hard. This also means that cats need their eyes moist and well-protected. Except for seals, whales, dolphins, and goats, all mammals – your cat included – have tear ducts. While humans are the only ones supposed to be capable of shedding tears in relation to feelings, mammals do produce tears to keep their eyes clean by washing away irritants. Releasing tears also help mammals keep their cornea moisturized. The eye’s tear glands release only an ample amount of tears to fulfill those three functions. Any excess fluids are drained at the corners of the eyes. These become sticky and eventually crusty and flake off as they dry. This is especially evident after a night’s rest when we get rheum – that waxy or flaky substance that some people would call morning “eye boogers.” But when is eye discharge no longer normal for your kitty? Feline ocular discharge should be minimal and clear and appear dusty and brown when dried for it to be called normal. Felines groom themselves but their eye corners may need a little help from time to time – like 1 to 2 days, depending on the breed since there are felines who are more prone to releasing tears due to their short faces. Use cotton balls and saline solution for cleaning the sleep off. Brachiocephalic kitty breeds like Persians and their cousins, like the British Longhair and Shorthair, Chinchilla, Exotic Shorthair, and the Himalayan have short heads and may need everyday eye gunk cleaning. The good thing about regularly helping your cat clean its eyes is that you get to check what normal eye discharge is. There are days, however, when your cat’s eye boogers are more than normal and this is when you need to check for ocular discharge consistency and redness. 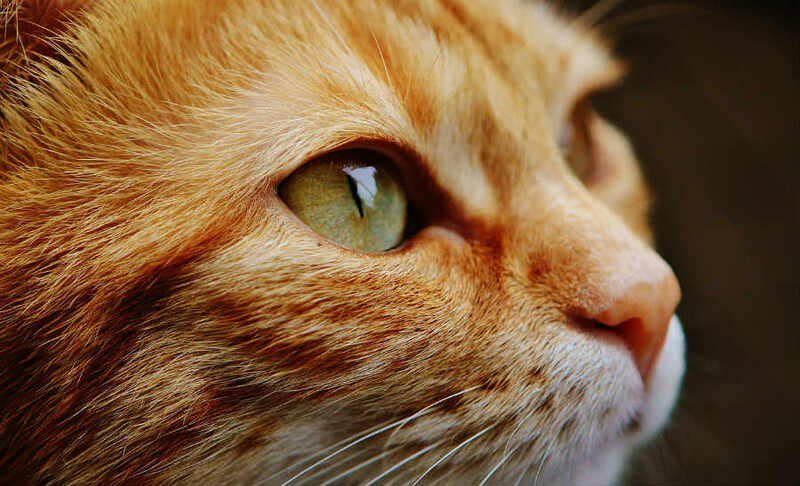 Is the consistency or thickness of your cat’s ocular discharge clear and watery? Is it a combination of clear and mucus? Or is it thick and mucousy green or yellow? If the eye gunk is clear and watery, your kitty may be having allergy issues. Epiphora or excessive clear ocular discharge often has something to do with your kitty’s tear ducts; they may be blocked or irritated. If your kitty is suffering from excessive discharge in only one eye, it could mean a foreign body. But if both eyes are blocked, then, it could be an allergic reaction. Substances like pollen, mold, mildew, and dust are common allergy-inducing particles. Chemicals like cleaning products, flea control products, perfumes, and cigarette smoke can also cause your kitty eye irritation. Treatment: Excessive clear and watery eye discharge may be flushed out with a saline solution. In addition, have your kitty away from irritants, as well as store all chemical substances around the house properly to avoid toxic fumes from reaching your cat. A trip to the vet may also be warranted especially if the symptom persists. Veterinarians may provide them with steroids to reduce the effects of the allergic reactions. Does your kitty have red or inflamed eyes along with excessive clear and watery ocular discharge? If it does, your kitty may have conjunctivitis, also known as pink eye – one of the most common eye problems for felines. Most cats will have it at least once in a lifetime, especially at a young age when their immune system is not yet as well developed. Another possible diagnosis for pink eye and excessive tearing is Feline Herpes, also known as cat flu – an upper respiratory viral infection. Unlike regular conjunctivitis, cats with cat flu acquire additional symptoms such as sneezing fits, nasal discharge, fever, lethargy and depression, and loss of appetite. Feline herpes is acquired through shared litter boxes, feeding and water bowls, mutual grooming, and from an infected mother cat to a kitten. Brachiocephalic cat breeds are also more prone to this illness. Treatment: Regular conjunctivitis may clear up without any treatment. But just to make sure, maintain the regular eye cleaning using saline solution. In addition, avoid using over-the-counter eye drops unless you have already visited the vet and they have been recommended. Although Feline herpes virus stays with the cat, its symptoms can still be treated. If your kitty exhibits cat flu symptoms or any even pain aside from red eyes, it is better to see the vet right away to identify and prevent any potential complications. And from there come up with the proper medication and antibiotics. Because the cat flu virus is so committed to its host, your cat getting a pinky eye and all other symptoms can be recurring. Always go to the vet whenever this happens and avoid your kitty in stressful situations like a sudden change in environment, loud noises, and visitors as these will cause recurring sickness. There are cases when your kitty’s conjunctivitis advances and its ocular discharge becomes greenish or yellowish. When these happen, it may possibly be due to bacterial infection. One thing you may need to check is if your kitty, rather than having excessive tearing, is experiencing the opposite – Keratoconjunctivitis Sicca or dry eyes. Dry eye problem is not a common occurrence among cats but it is said to be related with long-term herpes virus infections. Cats suffering from dry eyes have tear glands that produce fewer secretions than what is required to keep the eyes moist. Because of this, their eyes are prone to irritation and redness; and rather than clear liquid, their eyes tend to have inflamed or damaged cornea and mucus ocular discharge. If left untreated, a poor cat with this eye problem can go blind. Treatment: Bacterial infections in your cat’s eyes must be checked first by the vet before being treated. This is to properly identify which bacteria are affecting the feline’s eyes, as well as to see any underlying illnesses and other medical complications. Moreover, your vet will give you the proper prescription and dosage – any over-the-counter drug you apply on your cat may be risky and could be toxic. Dry eyes in felines can be treated with using artificial tear solutions, ointments, and steroid medications for kitties that still have intact cornea. More serious cases for felines may require surgery. Cloudy Eyes – if your cat squints and rubs its head more often, your cat may have Uveitis. This is an inflammation of the internal structure of the eyes; sometimes indicated by eye ulcers which are caused by a scratched eye, chemicals, secondary infection or head injuries. If left untreated, this could lead to blindness. Pain – if your feline friend experiences pain along with excessive eye boogers, this could mean inner eye and cornea problems. Tearing may be accompanied by frequent pawing at its eye, as well as sensitivity to light. You will have to consult with the vet to properly identify which part of its eye is being affected and to get the corresponding treatment. Diarrhea and Fever – A cat with conjunctivitis, along with a fever untreatable by any antibiotic, diarrhea, and labored breathing may be suffering from Peritonitis – a rare but fatal disease among felines, whether wild or domesticated. If you see these symptoms or are having suspicions about your cat having these, you need to go to the vet right away. Eyelid Problems – Sometimes, the cause of excess discharge in our kitty’s eyes may have something to do with the eyelids. Entropion, for example, happens, when the eyelashes rub against the cornea because the eyelids got folded inwards. Trichiasis, on the other hand, is when eyelashes grow from the eyelid in such a way that they rub against the cornea. In both cases, the cornea gets affected and the poor kitty suffers pain and eye irritation which could lead to eye ulcers, inflammation, and infection. Treatment for this will have to be done by the vet since it requires proper eyelash removal and the right ointments and other medications. You must take note that eye discharge problems may overlap one another since one may be a symptom or a complication of the other. What is important is, as parents, we take care of our feline’s eyes regularly and if such symptoms occur, have them checked by a vet. The soonest we let the vet observe and diagnose, the easier it is to treat an eye problem. Prevention is even better than cure. The best way to ensure our kitties’ healthy eyes is to give them a clean and relaxing environment as well as maintain a cat-friendly balanced diet. There is also the regular eye-to-eye where we give our feline friend that ocular once-over to see how it is doing and whether it has healthy eyes. 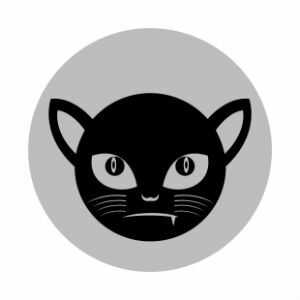 After all, giving cats that kitty kiss; that long stare and slow blink – always work. It is just the purrfect way of telling them “I love you”.